Happening Now in Eleme, Port Harcourt. There is pandemonium Over fear for Monkey pox. As the Nigerian army arrives Nchia Eleme town to carry out vaccination exercise. 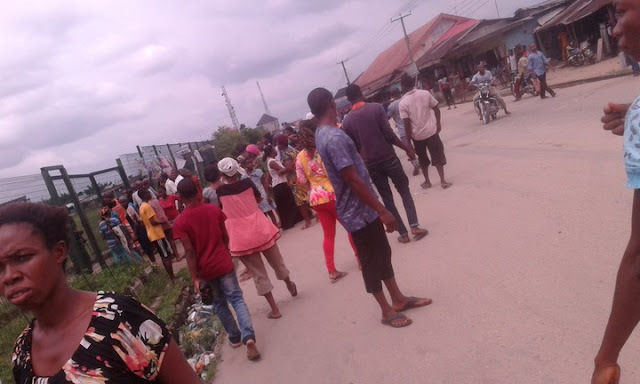 Parents Storm the gate of State school Aleto Eleme to retrieve their children back home.